Posted on 4th February 2019 at 11:05 am. LEARNING is proving to be child’s play after a nursery was hailed ‘outstanding’ across the board by Government inspectors. 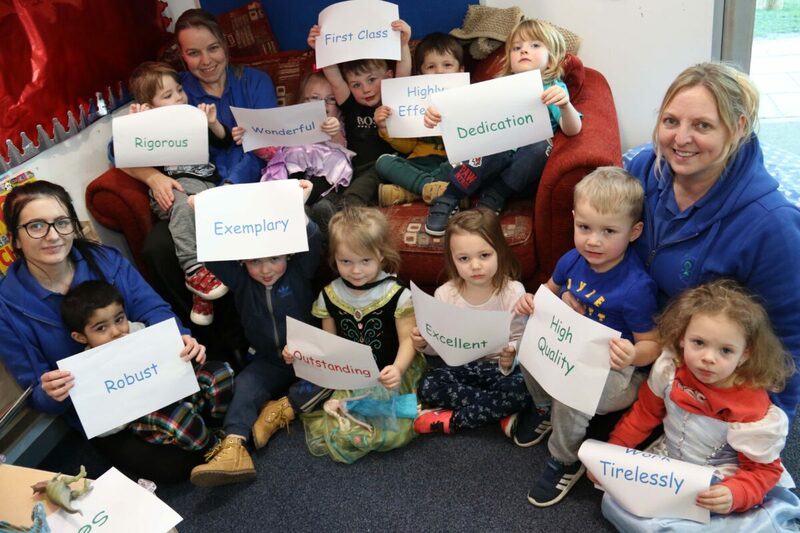 Ofsted inspectors awarded the top Grade 1 ‘outstanding’ mark to Darlington College Childcare Centre in four key areas including effectiveness of leadership and management, quality of teaching, learning and assessment, personal development, behaviour and welfare and outcomes for children. They last inspected the nursery in 2015 when they rated it as good with outstanding features. Since then learning and care have improved even further for more than 60 children, ranging in age from babies to four-years-old. In a thorough examination of all aspects of the childcare centre inspectors toured nursery rooms and the outdoor play areas. They spoke to staff and children, observed sessions, scrutinised documentation, including evidence of the suitability and qualifications of staff working at the nursery and listened to the views of parents. The experienced managers and staff demonstrate a wonderful dedication to the families and have extremely high expectations for all children. Key persons know the children in their care exceptionally well. Children develop very secure attachments with staff. Inspectors said: “Staff work incredibly closely together. They strongly motivate children across the age ranges, providing a rich and vibrant learning environment. “They expertly use questioning to encourage children to think creatively and solve problems for themselves. Babies communicate delightfully with sounds and facial expressions. Centre manager Andi Brennan was delighted with the findings. She said: “This has been a huge team effort with every single one of us playing a part in this successful inspection, which recognises all our hard work.